School Supply Drive – Drop Off Here! Your Creation Station is joining with the Real Charitable Housewives of Delaware as a drop off location for their School Supply Drive for Delaware’s Adopt a Student Program. The program puts school supplies into the hands of students who wouldn’t otherwise have them. 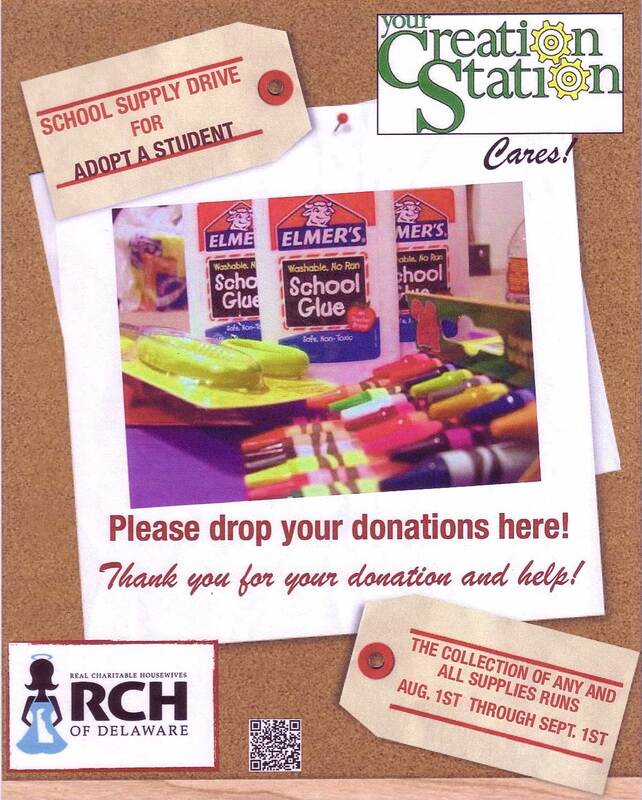 Starting now and lasting for the entire month of August, the RCHD will be collecting ANY AND ALL kinds of school supplies at drop off location in a number of businesses throughout the state. 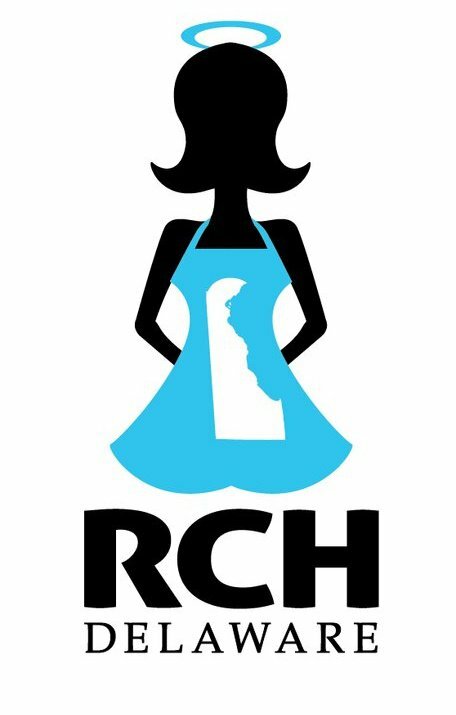 If you haven’t heard of The Real Charitable Housewives of Delaware yet, I’m sure you will soon. The organization was started by Jill Fella of North Wilmington about a year ago and has been going full steam ahead since. Each month, the ladies focus on a different project and they’re efforts were recently featured in a Delaware Today article. The good vibe has been spreading too, as chapters are springing up in other states across the country. Keep your eyes peeled, we’ll be seeing more of this group! ‹ That’s Going To Be What Color….?? ?